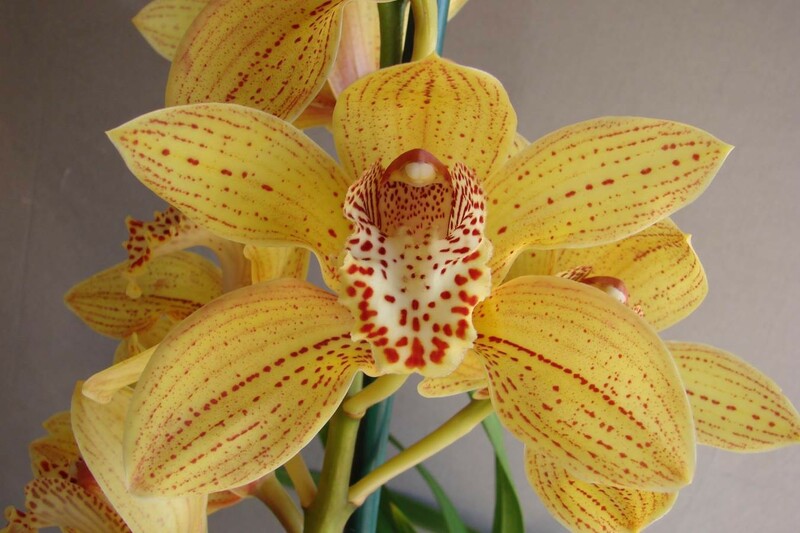 Cheetah' is a large, open yellow flower covered all over with red spots. The white labellum is covered with red bars and spots. An unusual coloured flower. Mid season blooming.